Like many others who saw Pakistan fail in the most inexplicable manner, I too was disappointed at how things turned out for them in this Asia Cup. If one were to look for reasons, I would say that Pakistan got their team combination horribly wrong during the Asia Cup. It seemed that Pakistan seemed to be betting on the wrong horses for this race and our planning wasn’t based on sound future planning. The proof of that failure to plan ahead was in the manner in which the team management had to make hurried changes during the tournament when confronted with pressure. Whilst it is true that victory and defeat are part and parcel of the game, what really shocked me was that the Pakistan team management seemed incapable of judging the strengths and weaknesses of their own players. They had no clarity on what their players could bring to the table which would benefit the team, and this is why we saw some confused team choices, and the results were there for all to see. If one wishes to be a good captain or Head Coach of a team, then knowing the capabilities of your players is very important. Take for example Pakistan’s all-important game against Bangladesh. In this match, for some strange reason, we moved Asif Ali down the order who had been included in the team purely for his batting skills. Instead, Shadab Khan was sent in ahead of him which to me demonstrates a distinct lack of knowledge about the strengths of your players. To be frank, such decisions by the team management looked like shots in the dark in the hope that something good could magically come out of them. I don’t want to be too negative about the whole episode, but to me it would be a tragedy if the team management does not learn their lessons from what happened in this tournament. They have to understand how best to use their players and what roles to give to each player. Sarfaraz Ahmed, in particular, has to really work on this aspect of his captaincy and only then can we expect to see better results flow for Pakistan. 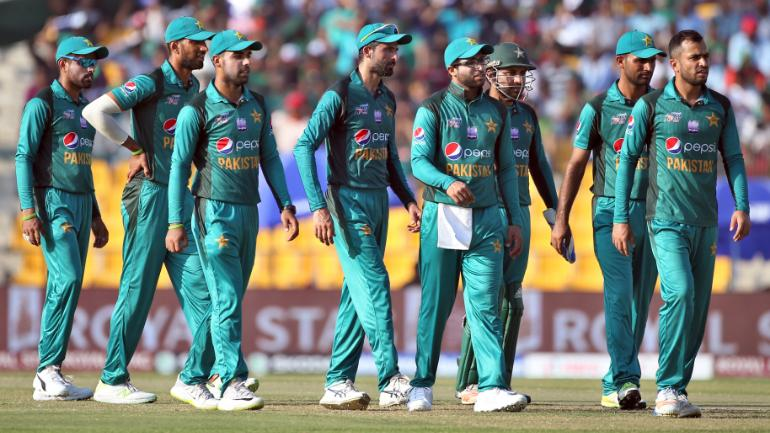 Pakistan seem to have this idea of taking a chance and including players who are bits-and-pieces cricketers, with the hope that they will perform well and win games for us. We have tried so many such players and for so long without any positive results. I feel that this experiment has failed. It is now time to concentrate our energies on picking specialist players who are either, good batsmen or bowlers. We do not now need players who can do part of the job. What we need is a proper bowler or a proper batsman. If we do pick an all-rounder, then he should be able to justify his place in the team as a bowler or a specialist batsman who can bowl as well. Gone should be the days when we should be playing someone as an all-rounder who cannot be classed as a batsman or a specialist bowler. Amongst the positives to come out of the Asia Cup, the emergence of Shaheen Shah Afridi is truly very uplifting and I, like many others, feel that this talented bowler has a bright future ahead of him. In addition, Imam-ul-Haq is also a great prospect for Pakistan cricket. He has good attacking shots and has a sound defence as well but there are some corrections to be done to his technique. I feel that if such modifications are made to his batting, he can improve even further and become a much better player. However, whilst it’s great to be happy about the prospects of a cricketer who is starting his international career, it is equally important that we look after some of the newer players who have shown so much promise. I speak about Fakhar Zaman who came to UAE with the backdrop of some really excellent performances such as the one that saw him score a double-hundred in an ODI recently. To force a batsman of such an aggressive temperament to play slow for first 10-15 overs is not right and put extra pressure on him during the Asia Cup, with some disappointing results. Of course, he will not always succeed when he plays aggressively and takes chances but then that is what he is there for and that is exactly why we are playing him in the team. If Fakhar fails, then we should have another batsman at the number 3 position who should stabilise the situation which is his job. There was a lot of criticism directed at the captain and Head Coach for their reluctance to include Junaid Khan in the team when things weren’t going that well for Pakistan. He was eventually brought in but a little bit too late. Whilst it's easy to look for sinister motives behind ignoring Junaid from selection, I would put it down to the inability of the team management to judge which players can actually perform in the prevailing conditions. Mohammad Amir appeared ineffective during this tournament as he was unable to swing the ball and so he was rightly replaced by Shaheen Shah Afridi. However, we also knew that Usman Khan Shinwari with his action would angle the ball outside the off-stump to a right-hand batsman. To bring the ball into the batsman with Shinwari’s action was always going to be difficult and really, the captain and Head Coach should have recognised the fact that this bowler was getting too predictable, and that really was the end of it. If after playing so many games with this team, we still don’t know who is the best player suited for such conditions then we are in big trouble and this sort of approach needs to be remedied as soon as possible. We cannot dump the blame for the recent failures on Sarfaraz Ahmed as the onus is also on the Head Coach and selectors to get our approach right. I am totally against this talk of replacing Sarfaraz Ahmed as this would be unfair and he needs to be given a chance. Someone from the Pakistan think-tank needs to sit him down and explain to him his mistakes during the Asia Cup and also show him how he can improve himself as a captain in the future. He needs to be given help in handling situations when they aren’t going Pakistan’s way and most importantly, he needs to bat at the number 6 or 7 position where I feel he is most effective for his side. The Pakistan Test squad currently consists of 18 players which is incredible. Given how players have are being added to it, I am seriously worried that this number could yet rise as well. This is where I will say that Pakistan selectors need to get their approach sorted as they cannot be playing to the gallery when it comes to selection matters. If the selectors have thought through their initial decision, then they should be able to convince all their critics about why they chose the players in the squad in the first place. They should be able to lay out their future plans in detail and remain steadfast if a few hiccups come along the way. They need to ensure that whilst a loss here or there maybe undesirable, the team combination will remain the same as it's based on sound reasoning. And if they can convince others that all their decisions are based upon a long-term plan then people will be happy to give them a chance to prove themselves. If Mohammad Hafeez was so important to the Test side, why was he not picked in the first place? What is happening now is that they are bowing to pressure and including players just to relieve the stress on themselves. Specifically, in the case of Mohammad Hafeez, we were categorically being told that he had no place in the Pakistan side but he has been brought back and is now part of the Test squad. How can this be justified or work? If he was so important to the side and maybe he was after his bowling action was cleared, then he should have been in the original squad in the first place. Once again, I would suggest that the Pakistan selectors need to be clear in their thinking if we are to make progress in the future. Whether Pakistan have the right personnel for the upcoming Test series against Australia is a question that the people who selected the squad need to answer. In my opinion, the only thing we need to concentrate on is the fact that the Australia Test side’s morale is very low due to all sorts of reasons. What we must not do, is to provide them that breathing space to raise themselves which they will do if they are allowed to play well. Pakistan need to deny those moments in the series where they will start to feel confident as when that happens, they will be very hard to beat.